Operating off the beaten track we pride ourselves on customer satisfaction, allowing visitors and locals alike to see secluded corners and hidden gems which may otherwise be overlooked or simply ignored. Endorsed by Visit England, Mountain Goat is a Quality Assured Visitor Attraction and we aim to provide the highest quality of customer service. Passengers can expect to see breathtaking landscapes, explore quaint towns and villages such as Hawkshead and Llandudno, tour ancient historical sites and visit attractions including Windermere Lake Cruises and Conwy Castle. 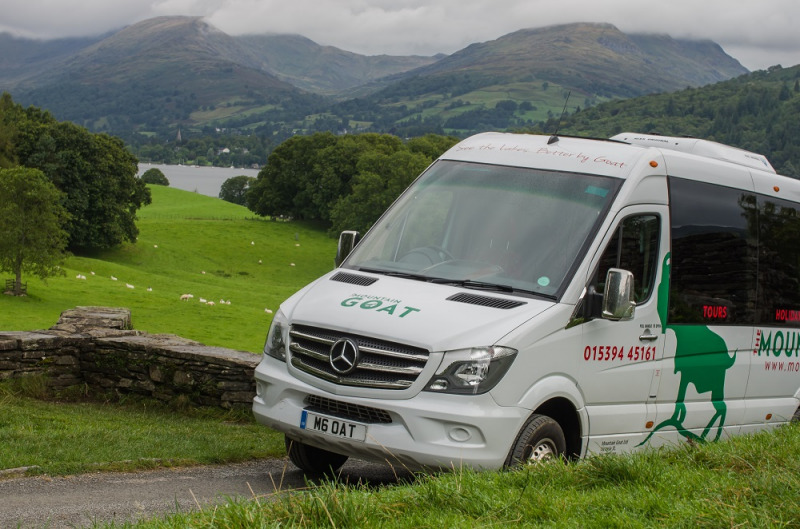 Mountain Goat have a variety of award-winning guided tours, with friendly, local driver guides who are on hand to make your trip as enjoyable, entertaining and informative as possible. In 2019, for the first time in our history, tours will be departing from Chester and touring the Lake District and the Snowdonia national park, travelling through some of the UK’s most iconic scenery, visiting UNESCO World Heritage Sites and exploring the history that shaped these incredible areas of the UK. Tours from Chester will depart five days a week, visiting north Wales on Wednesdays and Saturdays and the Lake District on Tuesdays, Thursdays and Sundays. Whether you’re taking a scheduled trip or venturing out on a personalised private tour you will be travelling in style in our fleet of Mercedes mini-buses as we take you on an unforgettable adventure.